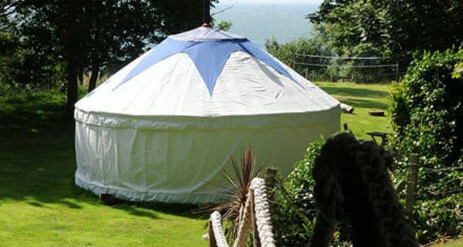 Bank End Farm, the farm by the sea, offers glamping and self catering in St. Lawrence, Ventnor on The Isle of Wight. It is beautifully hidden away on the south coast of the Island, in a truly idyllic location as one of Britain’s most famous Victorian health resorts due to its unique micro-climate. Ventnor is a traditional seaside resort, and only a two and a half stroll away. Secluded coves nearby offer safe swimming, or just enjoy stunning beaches close-by. 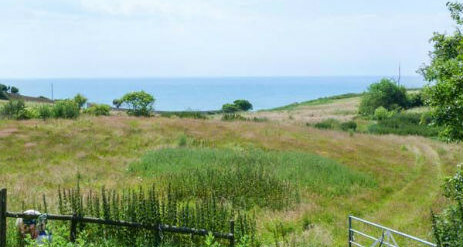 Bank End Farm is set in 30 acres in the heart of the Undercliff in St Lawrence, an area of outstanding natural beauty. During your stay, you will be able to wander freely around the grounds and explore. 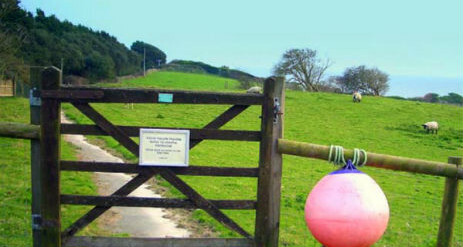 Follow the fishing buoys through the grounds to get to the coastal footpath. There are a couple of small bays directly infront of the farm or walk a little further along the coastal path to the idyllic Steephill Cove. Stardust and Moonlight, our two Yurts each sleep 4 comfortably. They are located in a perfect spot with fantastic panoramic views over the farm to the nearby coastal footpath which is just a short stroll away. Back at the yurts, there is a wooded dell where red squirrels can sometimes be seen. The Island is one of the few places in England where red squirrels can still be found. 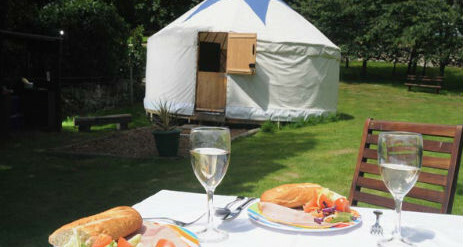 Moonlight and Stardust each have their own cooking area with a gas cooker, barbecue and each yurt has outside table & chairs. There is also a small wooden kitchen cabin for anyone who still enjoys the modern facilities of a fridge, microwave and other kitchen comforts! This kitchen is for the use of visitors staying in both yurts. 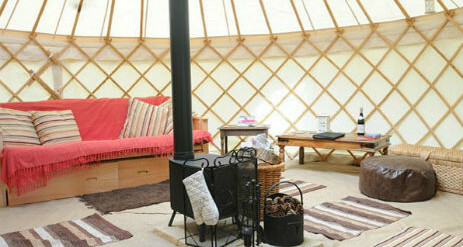 Nearby there is a separate old stone farm building housing 2 shower rooms, one for each yurt. 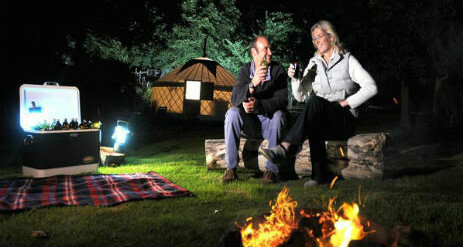 On site, there is badminton available, as well as our new Play-Yurt. 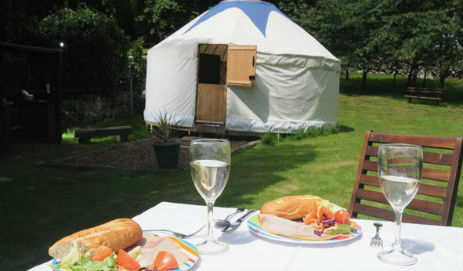 Our prices reflect the peaceful location & creature comforts that are all inclusive in our yurts. If you are looking for a place to have a noisy party with loud music, Bank End Farm is I’m afraid not for you, but is ideal for family groups or couples to relax. Be lulled to sleep by the lapping of the waves in the coves below the farm.